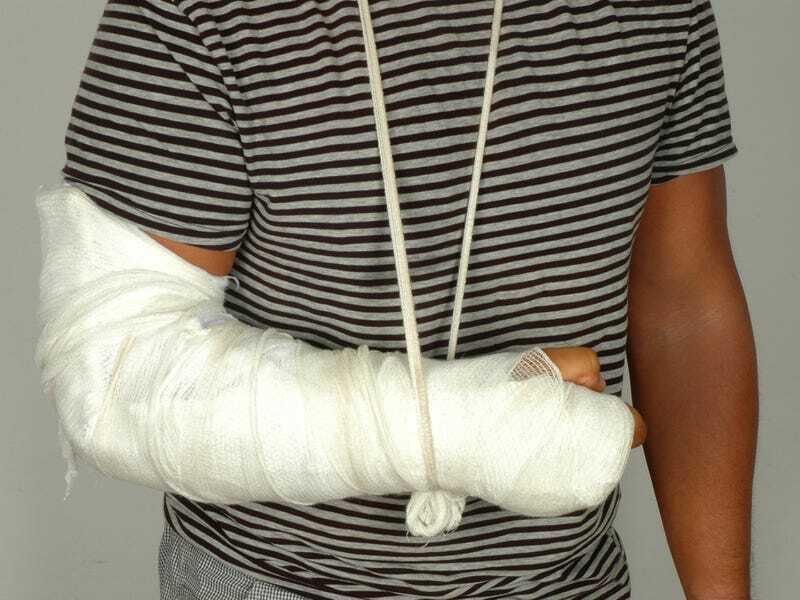 If you've ever had your arm stuck in a cast, relearning how to write with your off arm may seem like an excruciating and lengthy experience — but in terms of how your brain works, it actually happens with lightning speed. With your primary writing arm out of commission, your brain rapidly rewires to shift its emphasis to using your other hand, moving brain mass in the process. A new study in Neurology tracked a group of right-handed patients with broken right arms, and over the course of just 14 days their brains lost 10% of gray and white matter in the left side, and bulked up on the right. Since right-handedness is generally associated with the left side of the brain, and vice versa, this saw an accompanying increase in dexterity and skill in the sinister side. Beyond just a better understanding of brain plasticity, this research can help people who have had strokes. Called Constraint Induced Movement Therapy, it involves limiting the movement in the good half of the body to force it to restart using the damaged size. While this therapy has been in use for some time, the new research helps us understand how it helps, and how quickly the brain can retool.